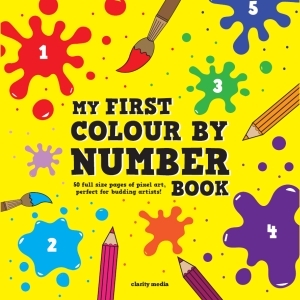 My First Colour By Number Book! 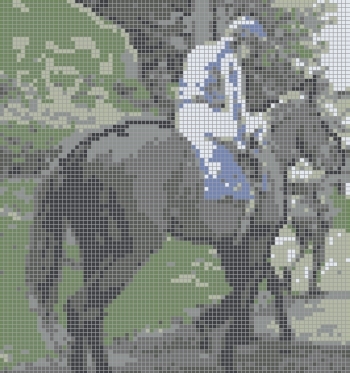 Welcome to this brilliant collection of 50 colour by number puzzles! The aim is simple- colour all of the squares in the grid in the colour that the number represents! Printed in a huge 8.5x8.5 inch book, there is plenty of space for extra scribbles and doodles along the way! The paper is of the highest quality and perfect for colouring in. Mini artists- a fun challenge is to try and guess the image before and during the colouring in process, before the grid is filled. Once the grid is completed and a colourful piece of art has been created, check the back of the book for a list of answers. Did you guess them all right? Make sure you have a good mix of colouring pens or pencils, and try your hardest to stay in the lines of the squares with your colours! We hope you have tons of fun completing these! Let us know how you get on - we'd love to see your finished artwork!